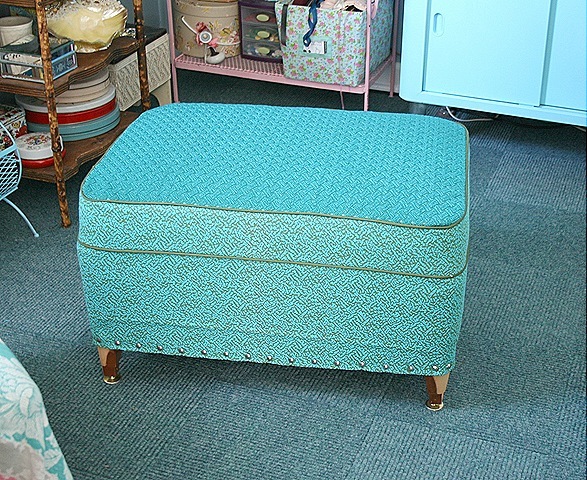 I really, really, really want a chaise for my new sewing room. BUT until the perfect piece falls out of the sky and lands on Craig's List or at my favorite thrift store I will make due with the chair that I moved down from my old sewing studio. 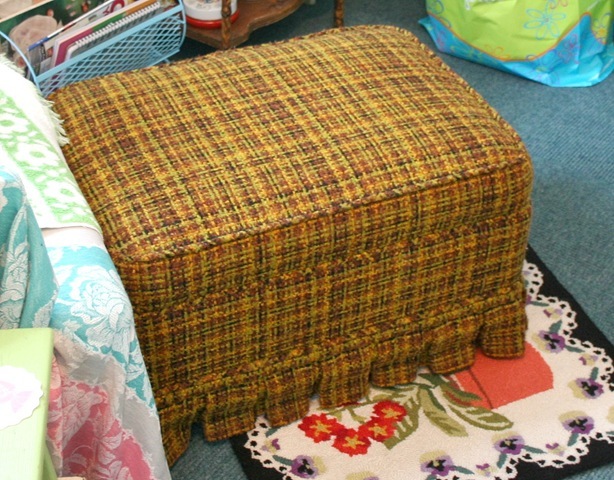 I found this ottoman at the thrift store yesterday for $10 so this will do nicely in the interim. 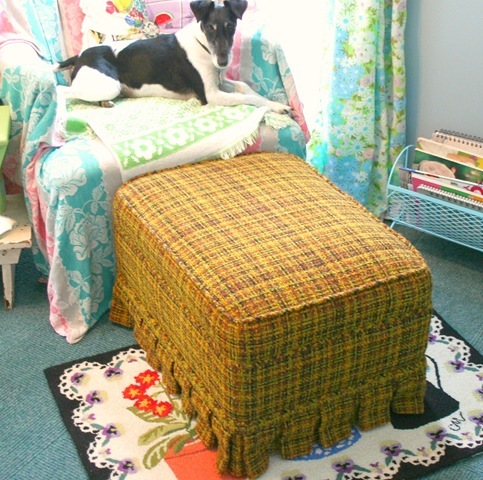 With a little deconstruction and then the addition of some of my favorite vintage upholstery fabrics it looks pretty fabulous. I thought the pics were reversed! The blue is so beautiful and looks just like it was from the 50’s! I ADORE it!!!!! Love the beautiful color. That is a good deal and a very good redo! 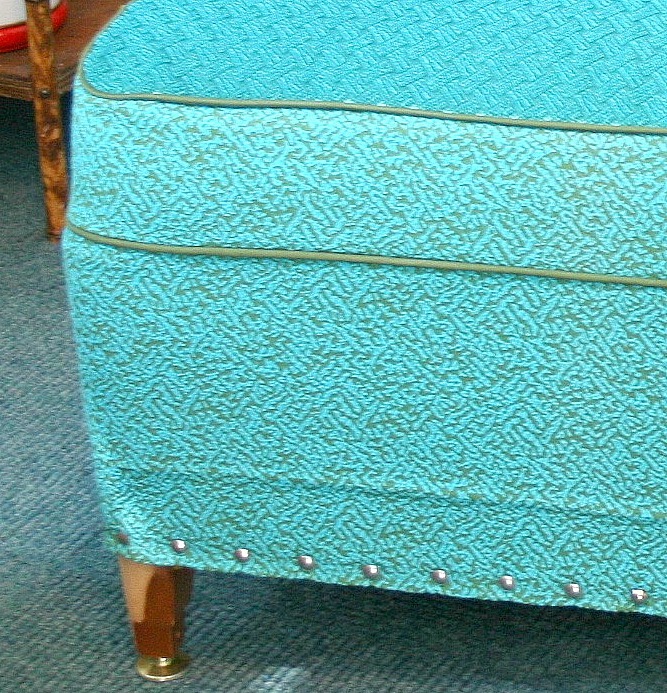 AMAZING Upholstery job with the piping and everything!! I bow to you… you are my hero ~ I have attempted this, and it is no easy job! BEAUTIFUL COLOR TOO!